Listen to the second single off the Screaming Eagle of Souls’ upcoming album, Changes. 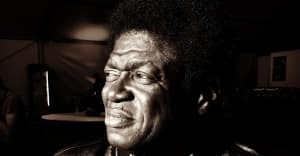 On April 1, Charles Bradley will release a new album titled Changes. It's the 60-something year old's third release since he gave up a lifetime of journeyman-ing to fulfill his dreams of being “The Screaming Eagle of Soul.” Bradley has previously shared the LP's title track, and today he shares the second single, "Change For The World." "Change For The World" is Bradley's latest brassy—and notably upbeat—call to arms. "This world is in turmoil—guns, violence—people are feeling like they have no way out," Bradley explained in an email to The FADER. "Young people don't know which way to turn. This song is about opening up our minds to understand—talk with the young people, hear what they have to say." His prescriptive for all that world is plagued by is surprisingly simple. As he wails, his voice time-worn but warm: We've got to change our love, we've got to change for the world. Amen. Listen to "Change For The World" below and preorder your copy of Changes on iTunes now.